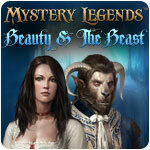 Mystery Legends: Beauty and the Beast Game - Download and Play Free Version! Save the Kingdom and Defeat the Enchantress, One Curse at a Time! We should all be familiar with the original story of Beauty and the Beast. After being scorned, an enchantress laid a curse on a young prince, transforming him into a hideous bestial creature. Only by finding true love with a fair maiden named Belle was he able to break the curse and live happily ever after. This iteration of the Mystery Legends series picks up sometime after that. The enchantress returns and curses him again, changing him back into a beast before sealing him away in a stone statue. Belle, who was away at the time, returns to find the castle in disarray. She then takes it upon herself to undo the curse, rescue her prince, and defeat the enchantress once and for all! In Mystery Legends: Beauty and the Beast, you’ll guide Belle as she roams the land searching for a way to save it. A shadow has fallen, many dangers seek to obstruct her path, and nearly everything has some kind of magical curse placed on it. Unfortunately, our heroine is neither a mighty warrior nor a wizened sorceress; she’s just a normal woman from the country. If she wants to have any chance to save the day, she’ll have to rely on her wits. Explore both the dark and dreary palace grounds and the lands surrounding them, complete with beautifully detailed visuals and ambient music. 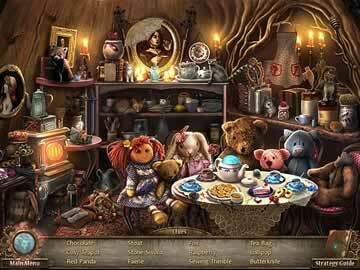 Find hidden objects in a bevy of cluttered scenes, with many lifted straight out of other fairy tales. Solve a variety of creative puzzles. Put together a magical clockwork dog, catch a saucy leprechaun, assemble beautifully-carved frescoes, and more! Mystery Legends: Beauty and the Beast won’t just leave you hanging. It includes many features that will make the journey through this fairy tale as pleasant an experience as possible. Use your magic mirror to get hints and highlight obscured items. Use your in-game journal to read useful notes on every one of your discoveries. Use your map to get your bearings and find points of interest. Observe your environment and pay heed to Belle’s thoughts. The girl is more clever and insightful than she looks. 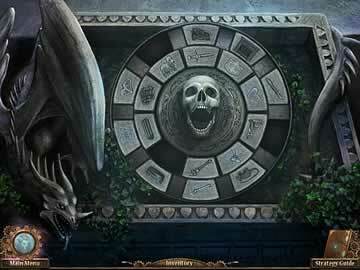 Read detailed instructions on how to solve every unique puzzle. Alternatively, skip those that prove to be too difficult. If you crave an atmospheric adventure game with a huge variety of puzzles, challenging hidden object sequences, and an engaging story, then you can’t go wrong with Mystery Legends: Beauty and the Beast. It adds its own twist to the classic story and expands on it in interesting ways. Give it a go and help both beast and beauty get their happy ending!